If you’re anything like me you go through sunglasses like crazy, breaking them all the time. At the moment I have 1 surviving pair of sunglasses (Michael Kors) but only because it’s a designer pair. You do look after expensive stuff a lot more, treating it with a lot more care, right? But I think I really go through so many pairs of sunglasses because my eyes are super sensitive to light so I kinda wear them even when it’s not sunny. 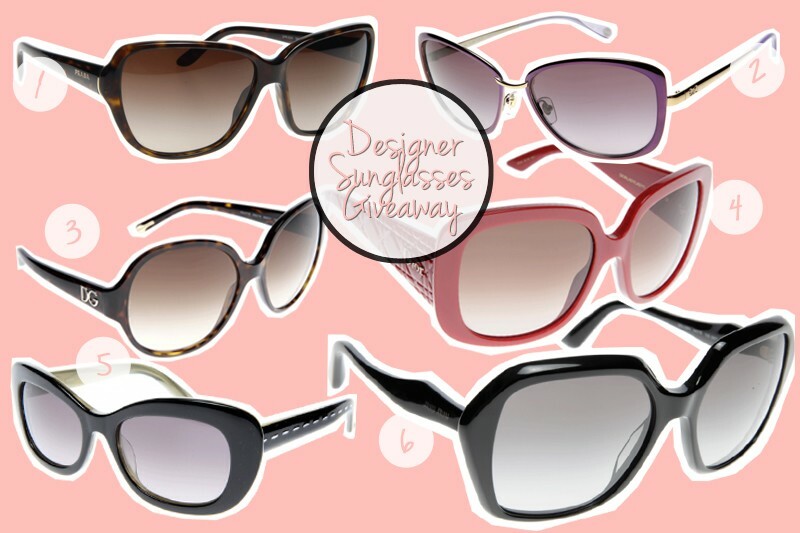 So who fancies a nice pair of designer sunglasses? Shade Station are awesome enough to sponsor yet another giveaway after sponsoring my Michael Kors giveaway, which you guys seemed to love so much!! This time Shade Station are letting me host an international giveaway with 2 prizes worth £120 and £80 respectively. You can basically pick whatever designer pair of sunglasses you like, and if you check the website, you can see that there are about 98375893 gazillion options for designer sunnies under £120 or £80 respectively. I didn’t wanna pick a specific brand or pair because we all have different tastes and face shapes and whatnot, so you can choose from brands like Prada, Fendi, D&G, Miu Miu, Dior and many other brands! Thank you so much my pair of sunglasses broke last week thanks to my baby and now I am in need of a new one. wow! this is awesome! hoping to win one of these! Thank you for the giveaway!